For many years now, Lerner and Rowe's non-profit foundation has given back in support of ABC15's Annual Telethon to support Phoenix Children's Hospital. PHOENIX, ARIZ., UNITED STATES, April 2, 2019 /EINPresswire.com/ — Tuesday, April 9, 2019, marks the date of the 8th Annual ABC15 Telethon that directly benefits Phoenix Children’s Hospital’s Hope Fund. For many years now, Lerner and Rowe has given back by sponsoring the hospital's annual fundraiser. 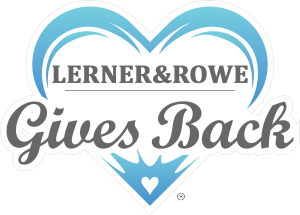 This year is no different, as the law firm donates another $10,000 through their non-profit foundation, Lerner and Rowe Gives Back. Local viewers can call (602) 933-4567 to pledge their own donations during the live broadcast to be filmed at the Hospital campus from 6:30 a.m. – 10:35 p.m.
“Phoenix Children’s Hospital provides significant levels of care and attention daily to medically distressed children. As such, we are privileged to join other local individuals and entities one day a year in support of the hospital. The $10K we donate annually is just one way we seek to help keep them on track to providing a top level of care for those in need,” said attorney Kevin Rowe. Lerner and Rowe hopes that others will open their hearts and agree to pledge their support to the many programs offered to children seeking care at Phoenix Children's Hospital, their family members, and the medical staff that care for them. To learn more about the 8th Annual ABC15 Telethon for Phoenix Children’s Hospital, please visit phoenixchildrensfoundation.org.